Come see Greek classical guitarist, Smaro Gregoriadou in Santa Cruz, CA! Please call or email John Bower at jbowersco@aol.com or (831) 423- 2365 to reserve a spot! Don't miss out on this spectacular night! When the leaves start falling, it means you need to consider the changing environment for your guitars, most especially how dry your local climate may become. Here's an article that will help you understand what's going on. There are others online, if you seek more information. 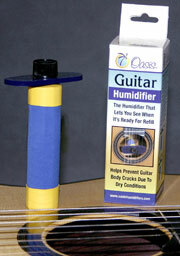 We ship our Hill Guitars with an Oasis humidifier in the winter to dry areas of the country or by request. I’m so sorry Roland Dyens is gone. We’ve bumped into each other for many years, but really it’s over the last three years we got closer, in Germany, in China, in California. 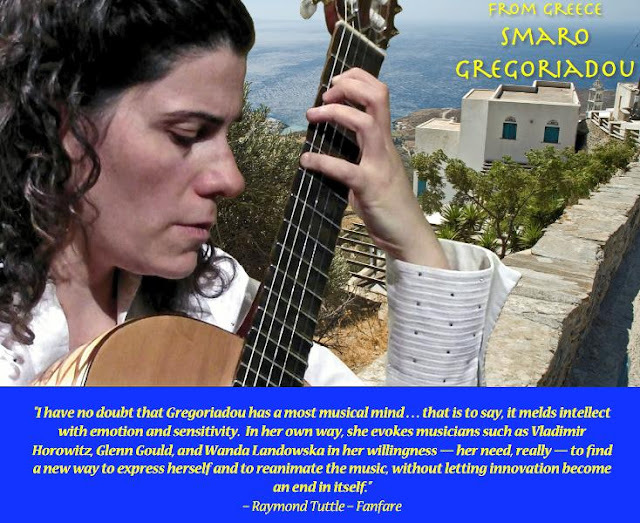 His unique talent, complete immersion in the guitar and perpetual imagination were truly inspiring. He was always intensely present, always thinking, always funny. This picture was the last time I saw him, in Iserlohn last July. It’s true, he was looking pretty frail, but he was just as “on” as ever. He has left a tremendous legacy of composition, but we have lost to memory a truly vibrant and immense person. Life is emptier without him.